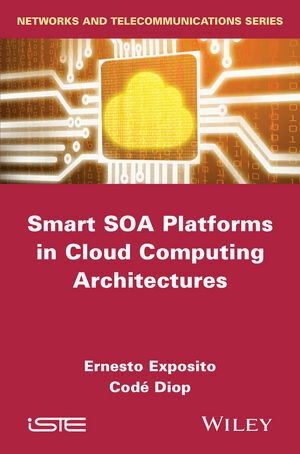 This book is intended to introduce the principles of the Event-Driven and Service-Oriented Architecture (SOA 2.0) and its role in the new interconnected world based on the cloud computing architecture paradigm. In this new context, the concept of “service” is widely applied to the hardware and software resources available in the new generation of the Internet. The authors focus on how current and future SOA technologies provide the basis for the smart management of the service model provided by the Platform as a Service (PaaS) layer. Ernesto Exposito is Associate Professor at the INSA of Toulouse and a researcher at the LAAS laboratory of the CNRS, France. His teaching and research activities include designing, modeling and developing service-oriented, component-based and ontology-driven autonomic transport and middleware communication services. Codé Diop is a Network and Telecommunications engineer. He is currently preparing his PhD in Service-Oriented Architectures at LAAS-CNRS. His research interests concern QoS management, service-oriented architecture, enterprise service bus, autonomic computing and cloud computing. 2. Service-Oriented and Cloud Computing Architectures.